"My Samsung Galaxy fell on the ground, being thoroughly dead and the screen was broken. If any your product will help me? I have no time to save some important contacts in such unexpected seconds, I want to get my call logs back at first." - An Email we received a week ago, searching help to recover call logs from broken android. As the customer said in the Email mentioned above, you may ever have no time for contacts saving. So if you can export call logs from broken Android, things will not get too bad. Before call logs recovery, it is necessary for you to know that screen breaking generally happens by accident. Therefore, you had better backup your Android phone frequently. People usually get their screen broken by careless operations like water infusion and physical damage. Sometimes, operating system crash may cause a black screen with data loss accidentally, what's worse, you can not restart your Android phone. Such situations make the screen without visual feedback, and you can not access to the phone. Broken Android Data Extraction is a professional software for data recovery from broken Android. It really does a great favor to recover call logs before saving. It can rescue the data on your phone, like call logs, contacts, text messages, messages attachments, WhatsApp and its attachments, pictures, videos, music and other formats of files, from internal storage and SD card. 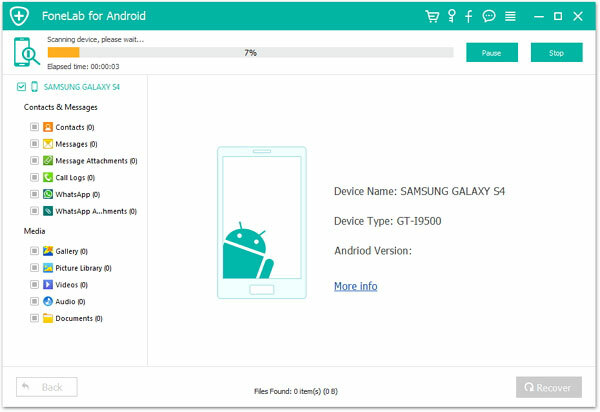 Notice: The program only supports Samsung Galaxy Note 5/ Note 4/ Note 3/ S6/ S5/ S4/ Tab Pro 10.1 at present. 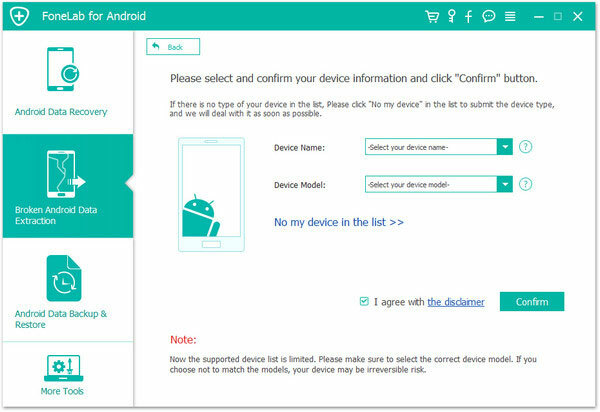 More technical supports for other Android devices will be developed soon. Step 5. The program will scan your whole phone to capture a listing of recoverable files on the interface as shown below. You can now select "Call Logs" or other files, click "Recover" button to extract call logs from broken Android phone and save them readable on computer. Step 1. 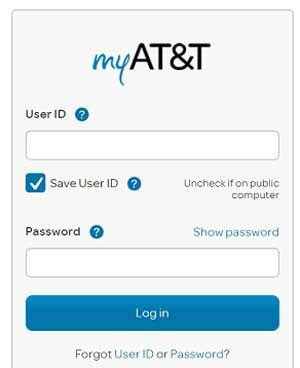 Log in myAT&T account with your User ID and Password. If you don't have an account, you need to create one with your personal information. Step 2. Select "Call History" and find out the record you need. Please notice that Verizon Wireless only allows you to view the international call logs instead of local ones. Step 1. 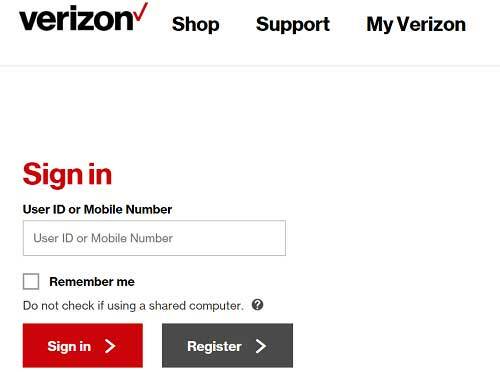 Sign in Verizon Wireless with User ID or mobile phone number. You can register one if you don't have an account. Step 2. Select "Account" > "Bill" to view your international call logs. If you have backed up your phone periodically, no matter hourly, daily, weekly or monthly, this good habit will make a great contribution for you to retrieve call logs from broken Android phone. Many data backup apps such as Dropbox and Google Drive, with cloud device allow you to get your backup files back. You need a new phone installed the same app to log in cloud account, download the backups into your new phone. However, this process is quiet slow, and you may not get back the new call logs generated recently if you did not backup them to the cloud. You can also find your backups on external SD card. Take off the external SD card, inset it into a SD card reader and connect it to your computer to find out the backups you need. But you can not retrieve call logs by this way because the call history is stored in the internal memory of your broken Android phone. Anyway, retrieving call logs from broken Android with your backups can rescue a part of data for you, even though it still has obvious limitations for data recovery. To avoid suffering from losing data, you had better backup you Android phone periodically at daily time. 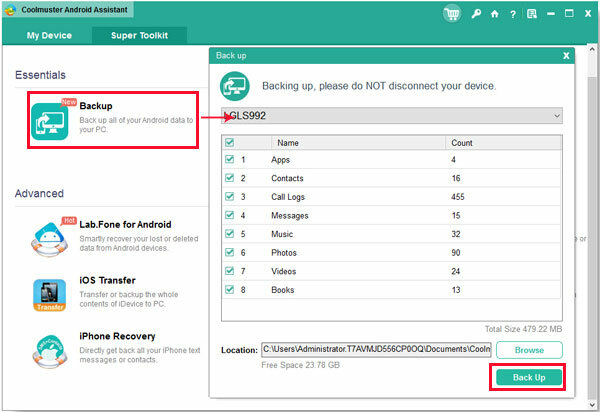 Nowadays, many apps transfer Android files effectively can help you backup important files to external servers or to your personal computer. We recommend one of the best Android Data Transfer tools - Samsung Messages Backup. Samsung Messages Backup is a professional software for Android data management. With its user-friendly interface, you can easily transfer files without any loss from your Android devices to computer. Widely supports almost all brands of Android phones, this program will not get your personal information leaked out. 1. Backup your Android files to computer easily, including contacts, text messages, call logs, apps, photos, videos and music. Step 1. Download the correct version of the program on your computer. Step 2. Install and run Samsung Messages Backup, connect your Android devices to computer via a USB cable, please enable USB debugging as the prompts guided. Step 3. 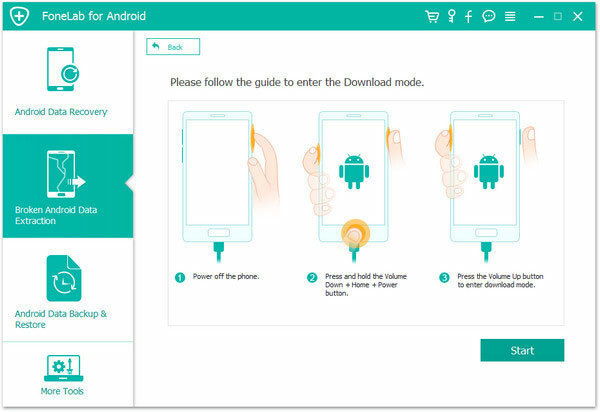 Once your phone is detected well, the program will automatically install on your mobile phone and get a listing of files on the screen, as shown below. Now, you can open the files, select the items you want to backup and export them to your computer. If you want to backup the whole phone, please go to "Super Toolkit", click "Backup", choose a location on your computer to save the backups and start the process with one click. 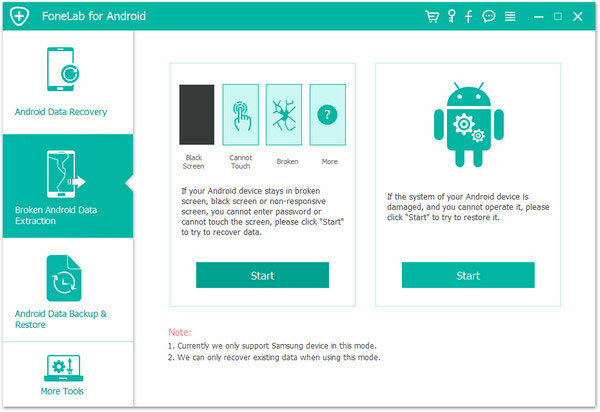 You can also recover files from computer to your Android devices with this program.